There are so many options to choosing from when it comes to skin rejuvenation and it can be taxing to the mind. That is why some people prefer one type of treatment to take care of their skin needs. A picosure laser is one such treatment. It treats different skin ailments such as fine lines and wrinkles, age spots, tattoo removal, and acne scars, pigmentation issues, skin that has been damaged from the sun, brown/sun spots and other skin conditions. PicoSure laser is capable of doing and achieving way more than the traditional laser treatments. The PicoSure laser stimulates collagen and elastin production in the deeper layer of the dermis hence allowing the skin to rejuvenate naturally on its own. This aids in wrinkle reduction and skin resurfacing resulting in a more youthful radiant and fresher looking skin. PicoSure laser is commonly known for tattoo removal as it addresses a wide range of different types of tattoo ink and pigments. Unlike most lasers which use either light or heat the PicoSure laser uses both light and heat waves when it comes to tattoo removal making you more comfortable with an effective tattoo removal solution. It removes the deepest ink by targeting individual cells and creating Pressure Waves which shatter the ink particles. This works best on brighter tattoo colors such as orange, red and yellow. For darker tattoo colors the focus lens focuses more energy on the ink’s location by limiting it’s targeting width. Acne scars are known to be difficult to remove since they do not respond well to various skin resurfacing treatments. However, the Pico laser has proved that it can get rid of them and improve their appearance in just a few treatments. It also significantly reduces the appearance of other facial scars, soothes the skin and reduces skin pigmentation. 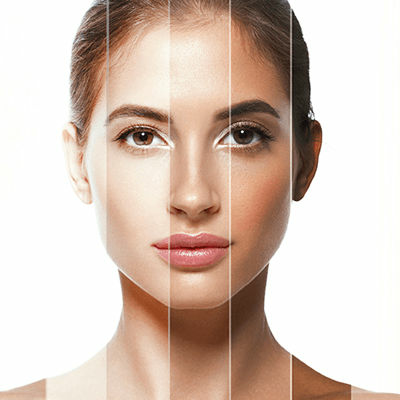 The Pico laser can be used all skin types without harming or causing any type of risk on the skin. This is because it targets specific cells on the skin rather than penetrating the surface of the skin. There is minimal discomfort during the procedure which feels like a slight tingling sensation. After the procedure, there will be some slight redness on the treatment area but this should go away within one to three hours. You Don't want to Miss Our Offer on PICO Laser Treatment . Fill in The Form To Avail Our Special Offer For You!